Get natural looking hyper realistic hair strokes to mimic your natural brow hair. Using only the best baltic brow pigments and techniques to give you wow brows, we strive for perfection in achieving each and everyone of our clients eyebrows aesthetic goals. Microblading takes 2 sessions to achieve the final result. Usually this is because clients will want to go slightly lighter with their pigment choices in the first session and then come back to have additional darker hairstrokes added for definition. 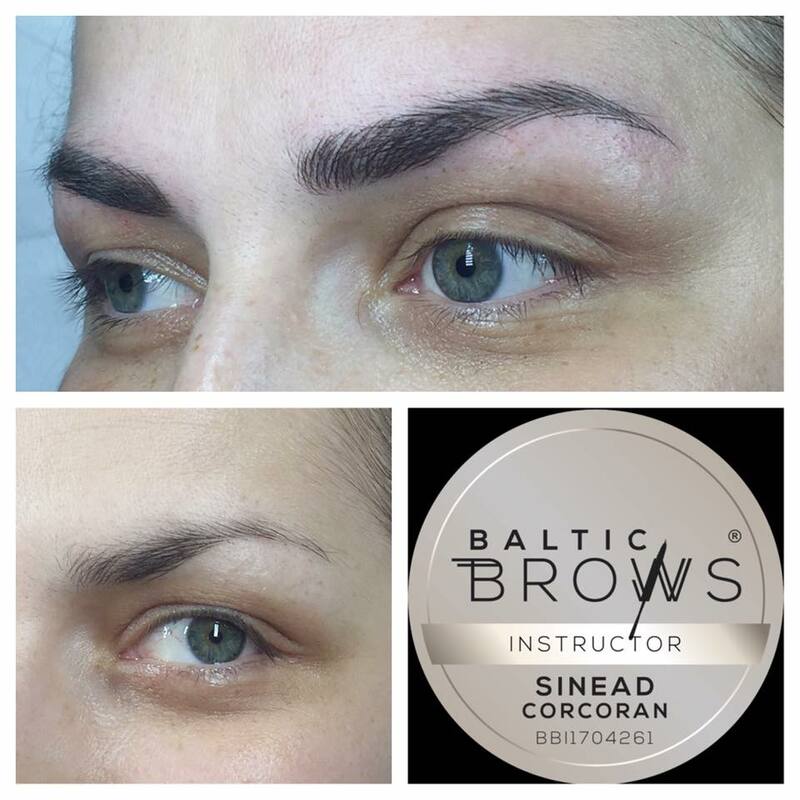 In your first session Sinead from Beauty Ink Ireland will accurately measure the face shape to locate the position of your new brow. This can be minimal and is done with measurements taken with our special Golden Ratio Rule. Although the repositioning of your arch can be minimal, the overall change to your face can create a more awake and fresh faced result by creating a stronger arch, more surface area to your eye and so making your eyes look bigger, it also helps to define your face. The accuracy and symmetry Sinead creates with hr attention to detail is what sets her apart. ​Sinead will advise you on the range of pigments she thinks will be a perfect match to your natural colouring and existing hairs. Before she starts to begin the Microblading process she makes sure you are comfortable with the the colour choices and the shape she has outlined for your eyebrows. ​Once you are happy the treatment starts, sit back relax and let us take care of the rest! WANT A HIGH ARCH? WANT A LONG SOFT ARCH? LENGTH, FULLNESS? THIS CAN BE ACHIEVED WITH OUR MICRO BLADING TECHNIQUES. FACE SHAPE AND SENSITIVITY, WE LOOK AFTER EVERYONE INDIVIDUALLY. Generally Miroblading can last from 10months to 24 months. This depends on skin type and lifestyle. Simply book in for a touch up and we can enhance the pigments so that they last for another 10-24 months.